Home / Past Programming / Free Passes to the Powell and Pressburger Master Classes this Week at the TIFF Bell Lightbox! 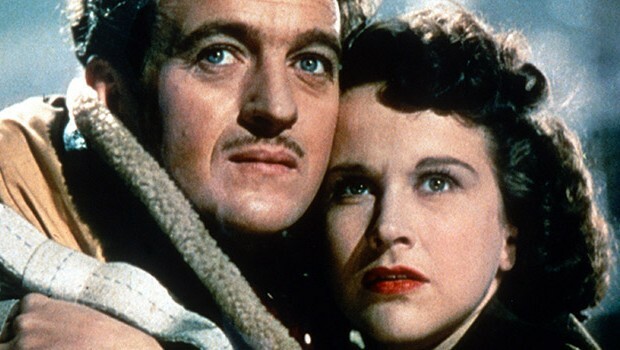 Free Passes to the Powell and Pressburger Master Classes this Week at the TIFF Bell Lightbox! Submit the form below by 9:00 am on Tuesday, October 15 to reserve your free passes to the Powell & Pressburger Master Classes! Once we have collected the requests, we will send an email with details about where and when you can pick up your passes. After missing his scheduled date with the afterlife, a WWII bomber pilot (David Niven) undergoes a heavenly trial to justify his right to live, in The Archers’ exuberantly inventive fantasy. Stranded in a Scottish seaside village on her way to marry for money, a determined young woman (Wendy Hiller) has her lifelong plans complicated when she meets a dashing naval officer (Roger Livesey), in Michael Powell and Emeric Pressburger’s sublime, mystically-tinged romance. We are no longer accepting requests.